the two phones together to "talk" to each other? 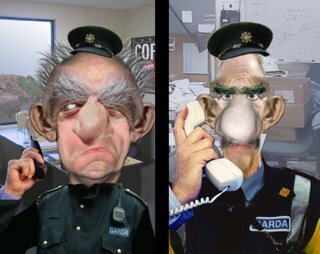 I just got sent a link to your Garda Prank video, and might I be the umpteenth to tell you I found it to be vivdly realised, and profoundly moving. Anyway, nice to see you're still twiddling the Wacom. If that's your animation it's a claass bit of work. Even got shown on The Panel! dude, just got sent your video. funniest thing ever. you do the prank and the animation too?